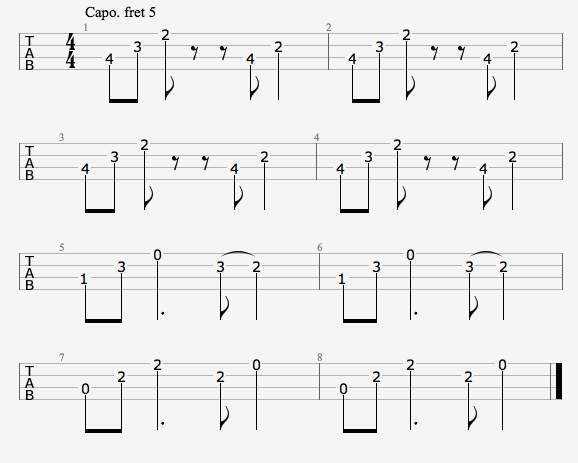 Another one for the Riffs for Ukulele series. Usual rules apply: they’re intended to be played for a lark (even more so with these punk pop songs); no, I’m not going to write up the full song; and they’re not necessarily in the original key (although only Sum 41 in this post isn’t thanks to some capo deployment). 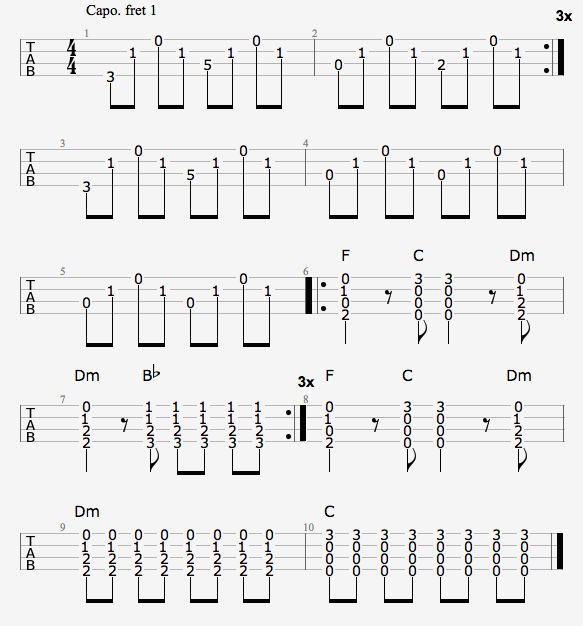 With Paramore’s recent foray into ukulele songs it’s only right I include one of theirs. Two riffs on this one. The top one is plucked thumb and two finger style and the bottom one using alternate picking. 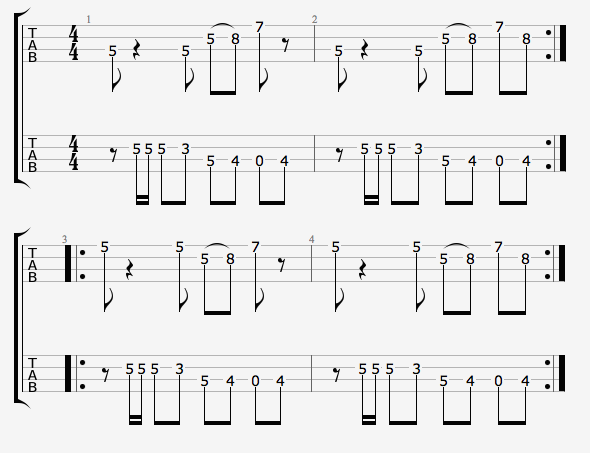 After a bit of octave shifting the arpeggio riff in this one works way better on ukulele than I was expecting. Thumb and two finger picking for this one again. Try to emphasise the notes on the g- and C-strings. 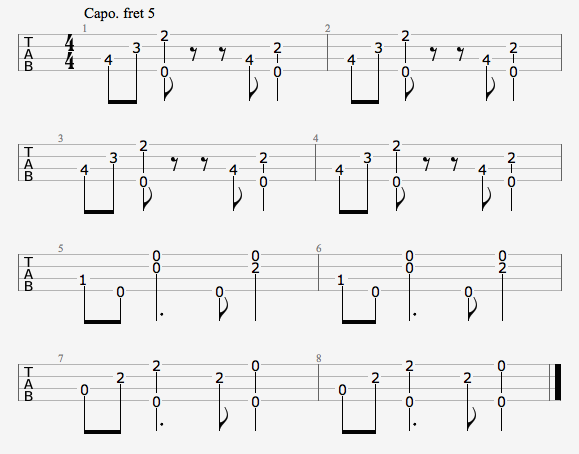 Capo on the first fret for this one too. The switch from G to F at the end of bar two is very fast. 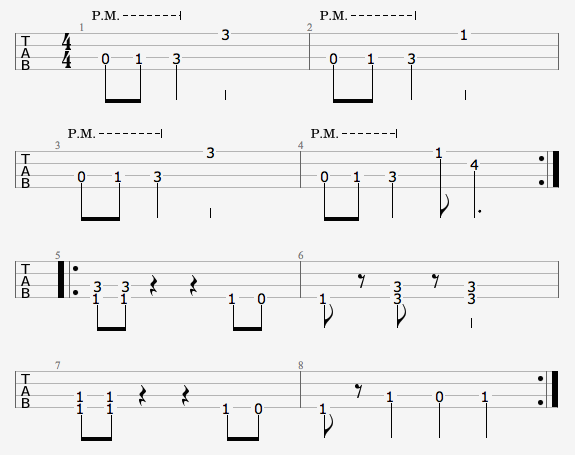 If you’re struggling with it you can just switch the F for playing all the strings open like at the end of bar 4. Not going to lie, this one is pretty preposterous on ukulele. But, hey, Sum 41 were a pretty preposterous band.